With colder weather here and the holidays approaching, the state Department of Environmental Protection is reminding residents from Morris County to cape May to practice safety and take steps to reduce the impact burning of wood has on air quality in their homes and neighborhoods. “Burning of wood – whether in fireplaces, wood stoves, or outdoor wood boilers – can help reduce energy costs and add a cozy ambiance to any home as the weather turns colder,” said DEP Commissioner Bob Martin. For some people, even short-term exposure to wood smoke can aggravate lung or heart conditions. Children, teen-agers, older adults and people with lung diseases such as asthma and COPD, or heart conditions are most susceptible to the effects of wood smoke. Allow wood to season before burning it. Seasoning means allowing the wood to sit outdoors for at least six months. Seasoning allows moisture to evaporate from the wood, making it burn more efficiently Seasoned wood is darker, has cracks in the end grain and sounds hollow when smacked against another piece of wood. 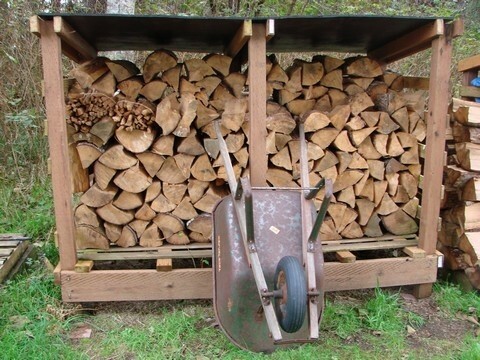 Stack wood neatly off the ground with the top covered to protect the wood from rain and snow. Store wood that is to be used in the house a safe distance from fireplaces or stoves. Keep anything flammable – including drapes, furniture, newspapers and books – far away from any wood-burning appliance. Keep an accessible and recently inspected fire extinguisher. Have chimneys cleaned annually by a certified chimney-sweep. Nearly seven percent of homes fires are caused by the buildup of creosote in the chimney. These fires can spread extremely rapidly, and are often signaled by flames leaping from the chimney or a low rumbling sound reminiscent of a freight train or airplane. Consider using an indoor air HEPA filter in the same room as a stove or fireplace. These filters can reduce indoor particle pollution by as much as 60 percent. State regulations and some municipal ordinances prohibit the emission of visible smoke from outdoor wood boilers. 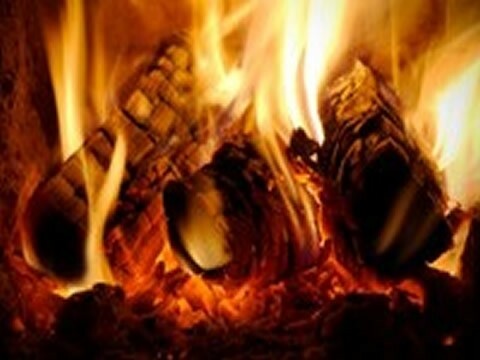 Wood boilers heat a fluid that is circulated in homes and buildings for heating purposes. Under state regulations, these boilers may only emit visible smoke for three minutes every half-hour to allow for start-up. If you plan on burning wood as a major way to heat your home this winter, the DEP recommends upgrading to a U. S. Environmental Protection Agency-certified wood stove or fireplace insert. The newer equipment will reduce air pollution and is much more energy efficient.